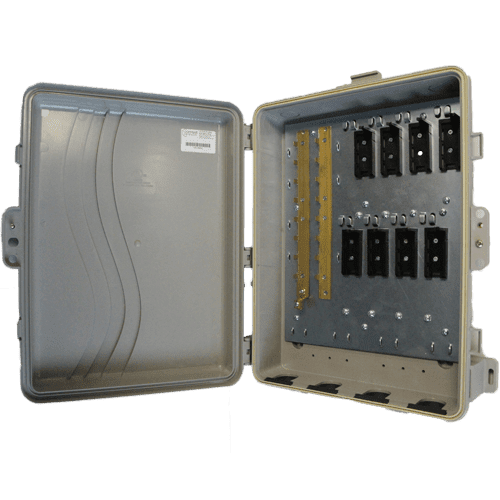 Comtest Networks, known as the premier solutions provider in the Telecommunications industry, introduces the G.fast DPU Solution Enclosure specifically designed for G.fast Baluns and coax cable distribution. G.fast is a technology which promises to deliver gigabit speeds over standard twisted pair Telco cables. Designed for use on short lengths of twisted copper, the reach can be extended by using coax. G.fast plans to raise the max link speed to 1Gbps on coax, using 106 MHz of bandwidth and is the technology that will finally bring superfast broadband speeds to those areas only served by copper wires in the last mile. 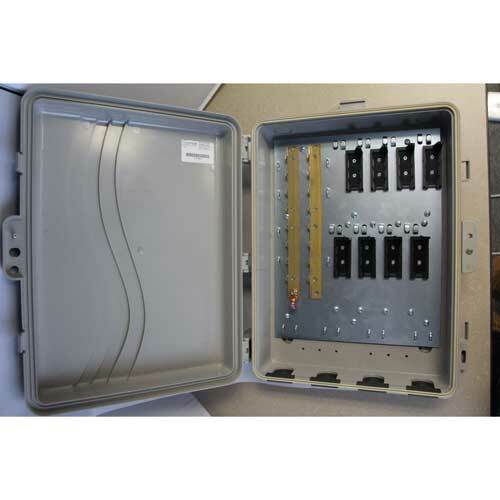 In most deployments, the G.fast DPU requires a support box at the customer premise/MDU or Business office end. Comtest’s G.fast DPU enclosure provides this solution for DPU’s and small business campus locations. The Comtest G.fast DPU enclosure is specifically designed for using coax in any MDU type environment. 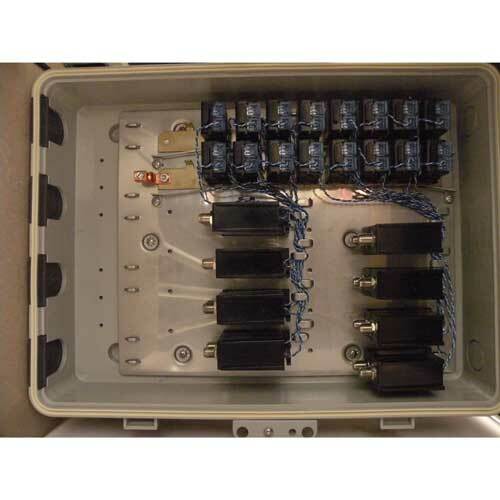 The innovative design provides the space and ease to manage the feed cable from the G.fast DPU as well as the 16 Coax cables for distribution to the customer. The enclosure will support up to 16 individual G.fast subscribers. It is provisioned to accept up to 18 Comtest G.fast Primary Protectors (SA-4705-0001) and 16 Comtest G.fast Baluns (SA-2252-0013). The compact design of the enclosure is constructed using high impact and flame retardant plastic. Installation is easy with 4 x 1” entry/exit ports and 180 degree hinged lid for full access. The enclosure is designed to be used indoors and outdoors and is weather-resistant against weather hazards such as rain, sleet and snow.